Outfit: I'm a Sucker for Anything With a Pocket! How fun is this LBD? It so different then anything else I own with the scoop neck line and the sheer pockets, I just had to have it. Love at first dress sight, yes it was! 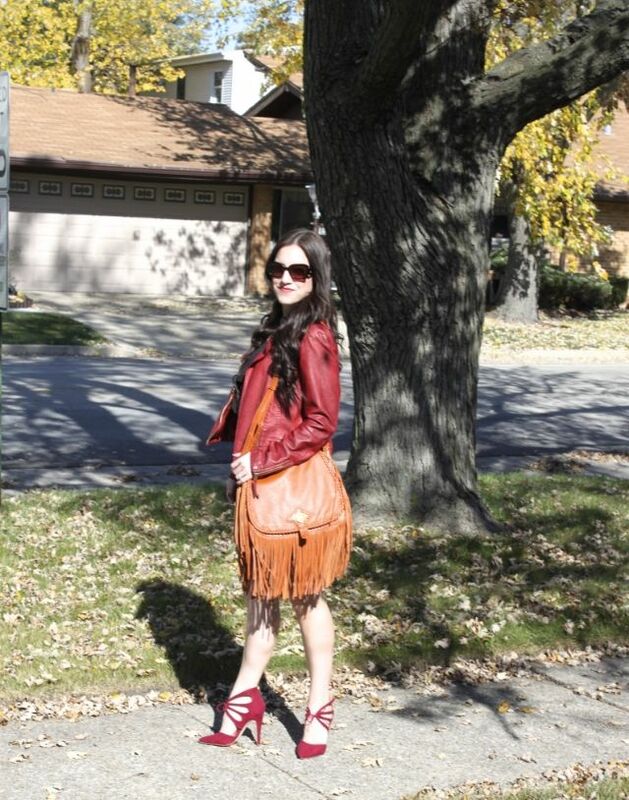 To style this beauty for an afternoon with the girls, I paired my little black dress with some fall colors. I added an oxblood colored jacket and shoes and some great gold and tortoise jewelry too. To finish the look off, I tossed on some amazing sunnies and I was out the door. What do you think of this LBD? Have you bought any clothing from Just Fab yet?